Qualifications: i). Degree in Law of a University in India established or incorporated by or under a Central Act or a State Act or an Institution recognised by the University Grants Commission, or any other equivalent qualification and got enrolled as an Advocate under a State Bar Council established under the Advocates Act, 1961. and ii). Must be practicing as an Advocate or Pleader in the High Court or Courts subordinate thereto and must have so practiced for not less than 3 years on the date of this Notification, viz., 23.11.2014. Or must be an Assistant Public Prosecutor having not less than 3 years of experience as an Advocate and / or Assistant Public Prosecutor. Fee: DD of Rs. 500/- drawn in a Nationalized Bank in favour of the Registrar General, High Court of Madras payable at Chennai. SC/ ST candidates are exempted from payment of Fee. 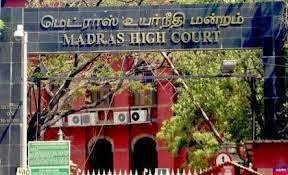 How to Apply: The completed application in the prescribed format along with all relevant documents must reach the office of the Registrar General, High Court, Chennai-600104.